Now that we already know who the Idols SA 2017 Top 3 contestants are, it's time to vote for whoever you want to progress to the Top 2. Our top 3 contestants Mthokozisi , Paxton and Botlhale are now in a traveling mood because during this new week, they'll all depart for London. 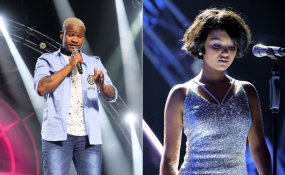 However voting has to continue taking place because next Sunday Idols SA 2017 Top 2 contestants will be revealed. These Top 2 will then battle it out for Idol SA 2017's grand prize. And all that being said, we would love to know which 2 contestants you want to battle it out on the Idols SA 2017 grand finale week. Remember, there are three ways to vote - Web, mobi and SMS.